Every year I take a keen interest in looking to see what new tech gets unveiled at the CES event, getting to Vegas to attend the event in person is definitely on my bucket list. There are generally two types of products I look out for, the real mind-boggling space-age stuff and the products I think wow I could actually really use that right now! From all the coverage I have seen of the event I have picked out some of the things that caught my eye. The first flexible display phone has been released and it wasn’t by one of the big giants such as Apple or Samsung. A relatively new but innovative tech company called Royole has launched the FlexPai which although isn’t perfect in design does look like a glimpse into the future of how flexible displays can be used on mobile devices. On a similar theme of flexible displays LG unveiled their ‘Rollable TV’ which as the name suggest is a flexible display that can rolled back into it’s soundbar base when not in use. The TV will have different size modes which controls how much of the display is shown depending on what content it is being used for. The rollable functionality is possible due to it being an ultra-thin durable OLED display that requires no backlight. One of my favourite features at CES 2019 was produced by LG and that was the ‘Curve of nature’ installation. This was to showcase their curved OLED displays and was made up of more than 250 TVs. I could watch it all day so rather than try to explain it, take a look at the video so you too can be mesmerised. An area I am really interested in is how new tech can be utilised to help us with our health and wellbeing. At CES 2019 Samsung showcased a series of consumer robots which included one titled ‘Bot Care’, a robot to help users monitor their health. The bot can monitor such things as your heart rate, blood pressure and breathing. It can remind users when to take medication and notify family members in the event of an emergency and supports live video calls. I think this is just that start of how tech can help us stay healthy but I can already see real world uses for tech like this perhaps for elderly people living alone. The winner for the mind-boggling space-age prize for me was the Bell Nexus. This is a concept autonomous air taxi vehicle that looks to solve the issue of overcrowded ground space in our cities. It looks like a giant drone that wouldn’t look out of place in any sci fi movie. Could the future Uber really be giant drones with no driver? 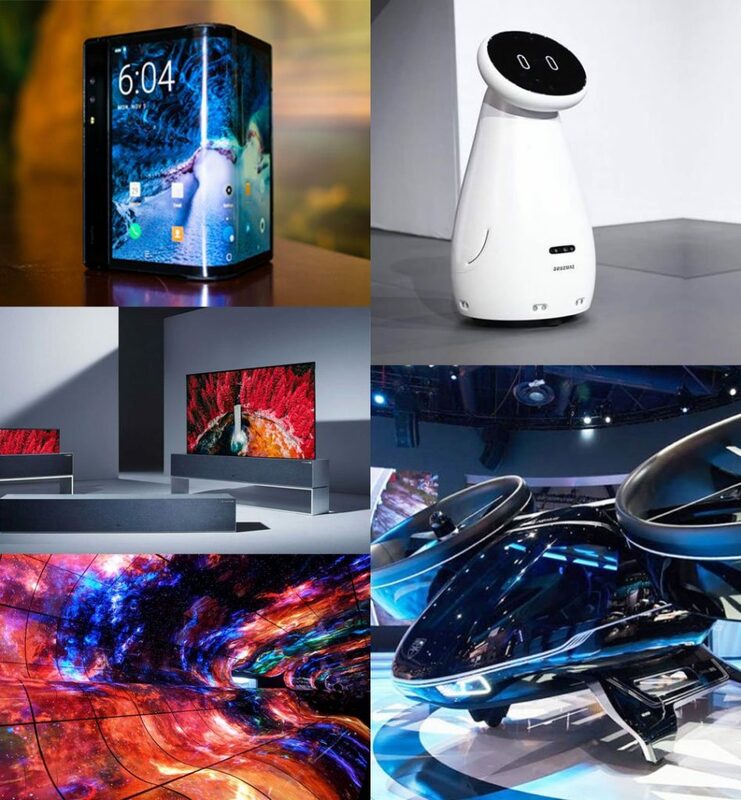 Get in touch with us over on our social media channels and let us know what your top picks at CES 2019 were!